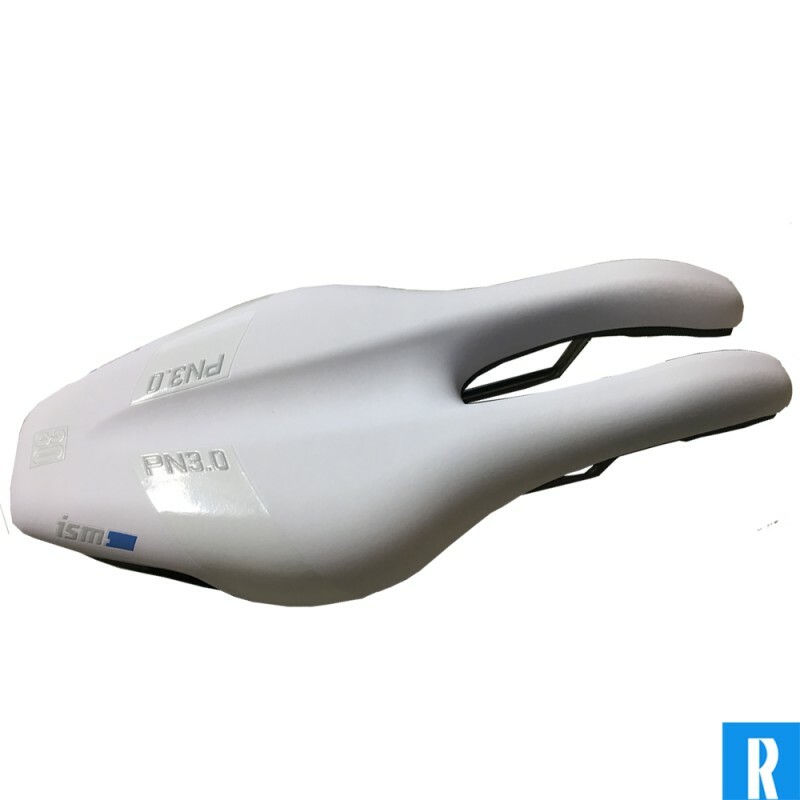 Triathlon saddle ISM PN3.0; recommended by urologists. Just like the other ISM bikesaddles does this bike saddle help you lose your saddlepain! The PN3.0, alltough based on the models like the other saddles in the PN-serie, is very different like the other PN saddles. 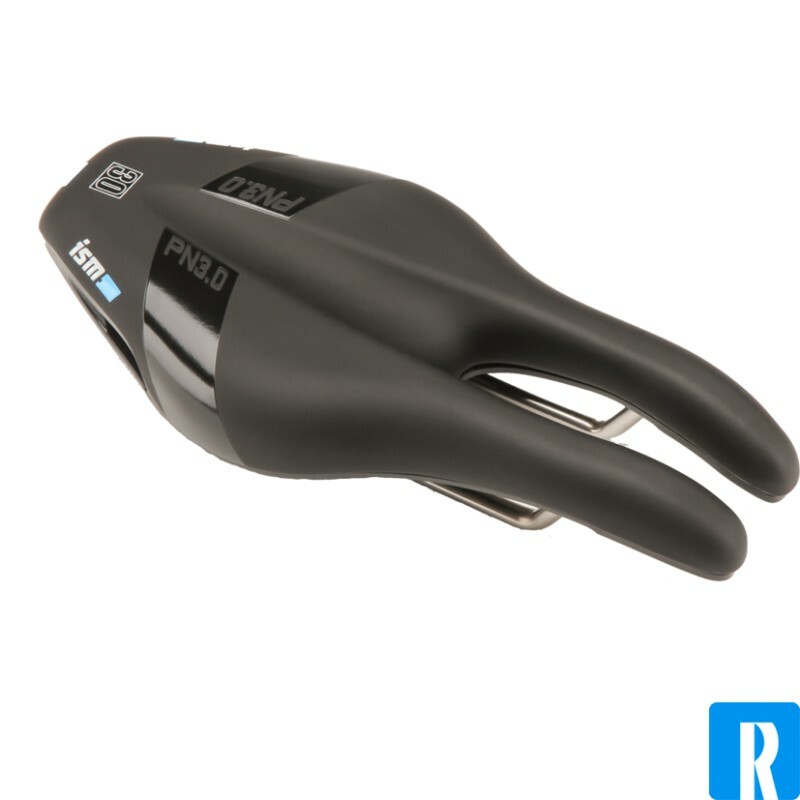 The PN3.0 is different from the other PN saddles trough his shape and sizes. 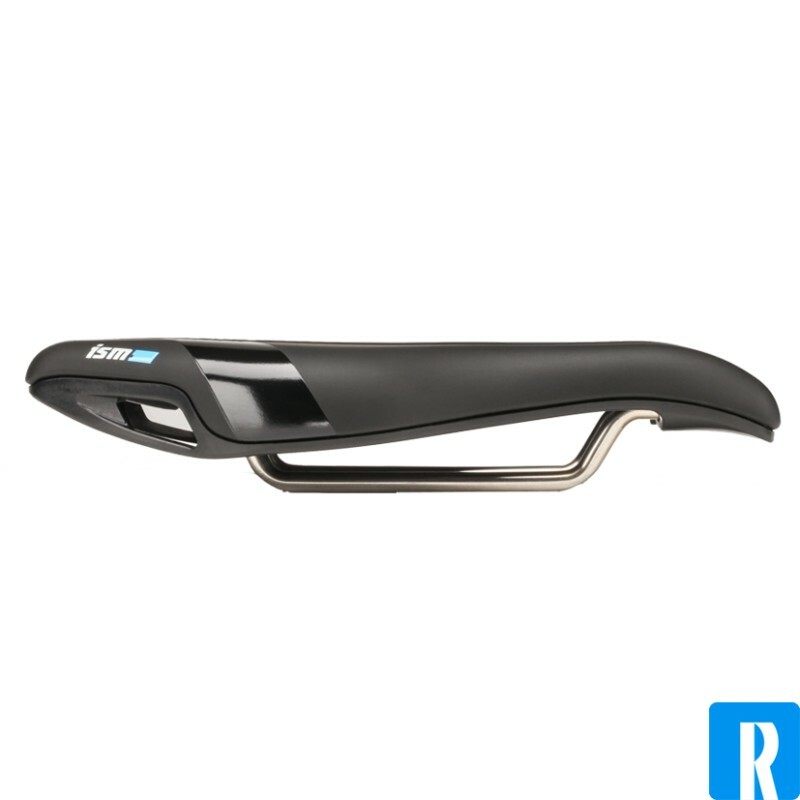 This saddle has a slightly different shaped edge, a different shaped support. New ISM comfort wich you've never experienced before. 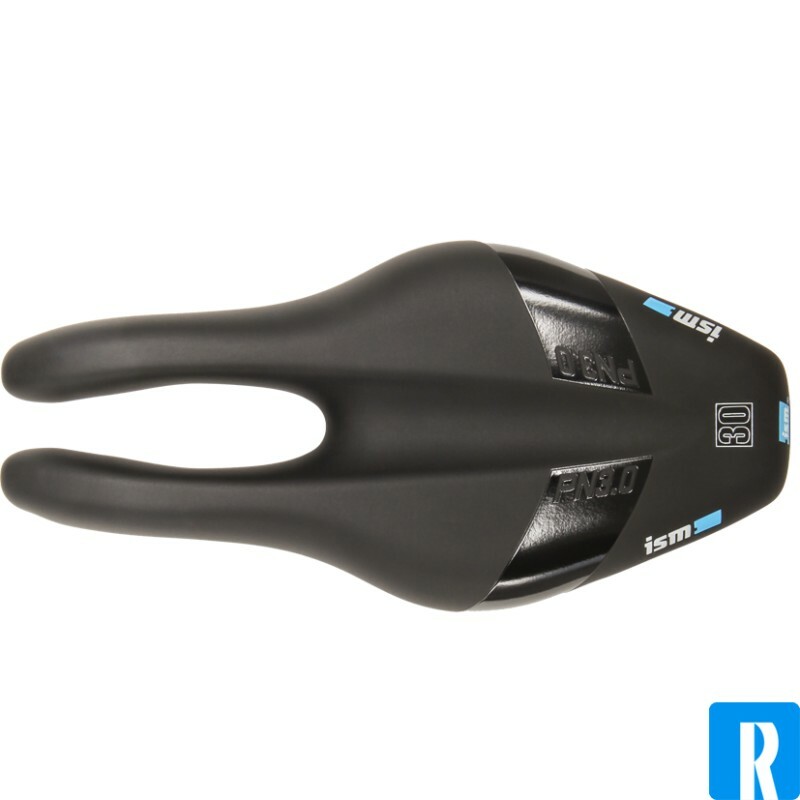 The PN3.0 is the first saddle of this new generation wich will give you those two things. The ISM PN3.0 has a stuffing of the 30-series. Ideal because at a Triathlon you mostly use a thin layer of shammy. The nose of the ISM PN3.0 points a bit down, which will let the driver allow to tillt the hip around limitless. The famous ISM notch already did that of course. Because of this design there is no pressure on the noble parts. So: The ISM PN3.0 guarentees a enjoyable and comfortable bikeride. 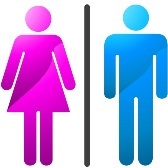 - The uppersite of the seat 1 centimeter lower than normal! This is because you have a noseless saddle. The length is to satisfy the rules of the UCI. 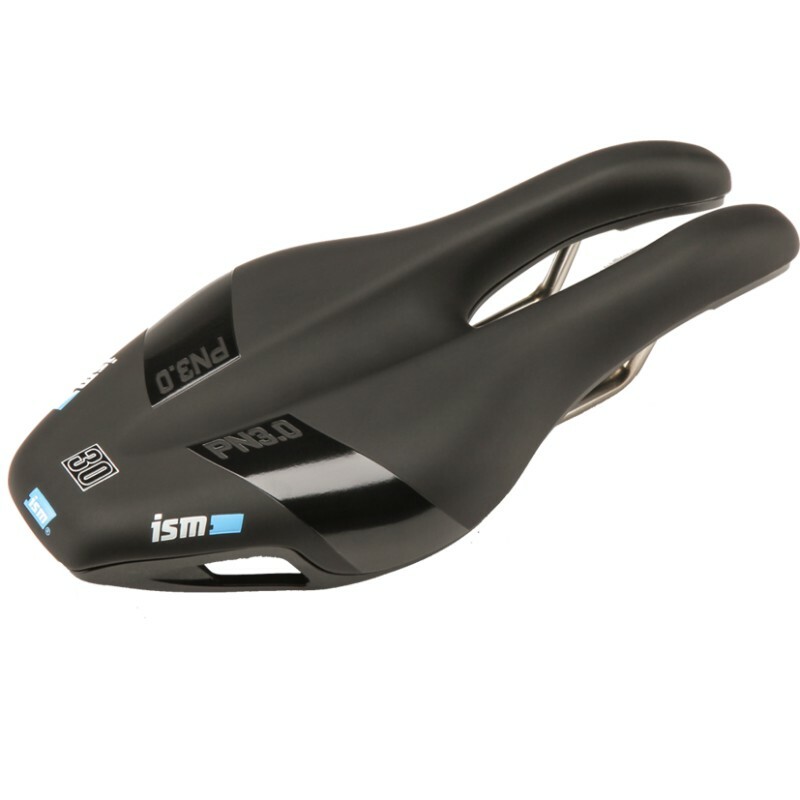 For a racebike saddle the ISM seat is a top recommendation for athletes! At the triathlon worldchampionships in Kona ISM has been NR. 1 for a couple of years, with a huge difference from the 2nd place! Because you are going to be seated on your seatbones the right adjustment is slightly more difficult to find than with a traditional bikeseat. Read the instruction that comes with the ISM seat end watch the vids about adjustment.